How to add effects to videos? How to choose a suitable video effect software? It depends on the type of the users. The demands of beginners and family users are definitely distinguish from those of the professionals. The professional video effect software are always powerful, however they are complicated to beginners, who may spend much time to handle. It seems a tough work for users, not to mention the relatively slow processing. As beginners, for most time we just need elementary effects, such as to adjust the rightness, contrast and saturation. 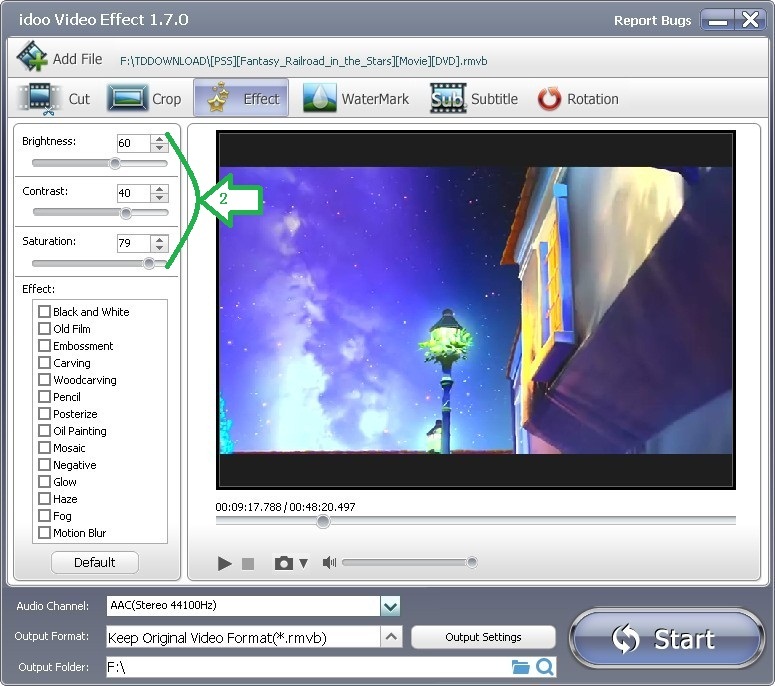 Compared to similar software, idoo Video Editor set those function much more clearly. Moreover, those configurations can be adjusted in two ways. The following part will show you how to operate. 1. Click “Add File” (Arrow1) to select the file to edit, and the video can be previewed in the right box. 2. In the left box, you may adjust the brightness (Arrow2), contrast (Arrow3) and saturation (Arrow4) by input the figures, and they also can be adjusted by dragging the sliders below. 3. The effected video can be previews in the right box.